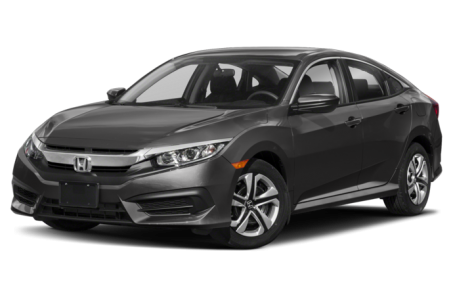 The 2018 Honda Civic is a popular compact car that comes in one of three bodystyles: a 2-door coupe, a 4-door sedan, or a 5-door hatchback. It competes with the Toyota Corolla, Ford Focus, and Hyundai Elantra. The new Civic Type-R hatchback will be covered in a separate overview. Six trims are available for the coupe: the LX, LX-P, EX-T, EX-L, Si, and Touring. The sedan also has six trims: the LX, EX, EX-T, EX-L, Si, and Touring. The hatchback comes with five trim levels: the LX, Sport, EX, EX-L with Navigation, and Sport Touring.